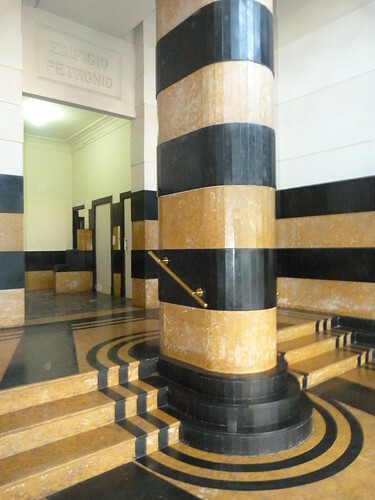 This is the foyer of Edificio Petronio in Copacabana. 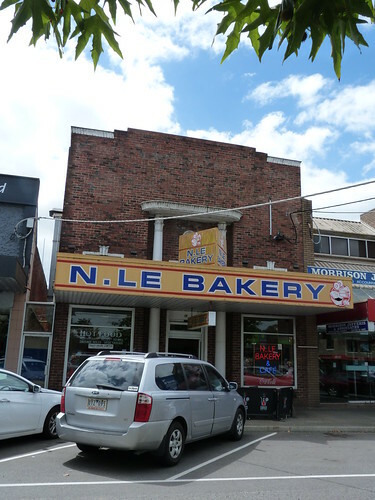 The N Le Bakery in Leongatha looks rather plain from a distance. 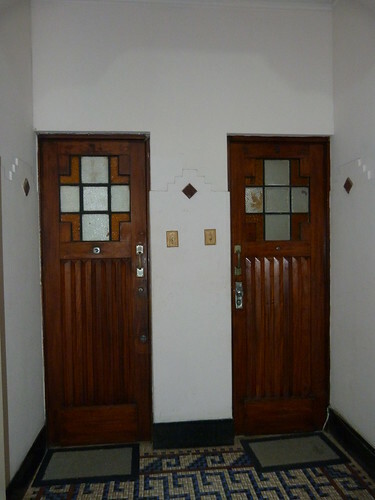 A closer look will reveal some Egyptian style touches. 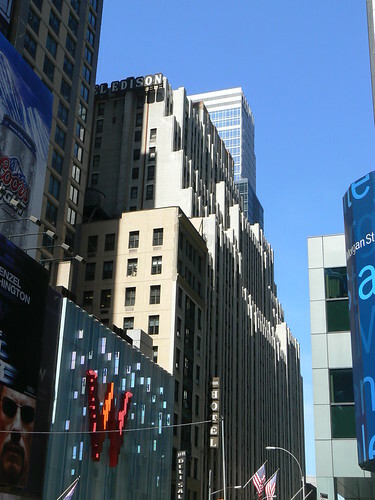 The top corners of the building, painted white, are typically Egyptian. The windows on the upper floor have three stone feathers as decoration but the best decoration is in the balcony area especially the capitals of the columns. 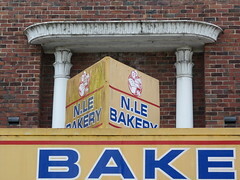 And there is something behind the N Le Bakery sign. You can just see the top edge of it in the first picture. Perhaps it is a window. I'll have to go back and see if I can get a better look at it from further up the street. 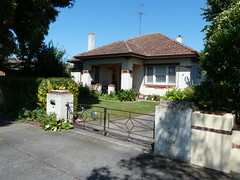 A lovely deco house in Warragul. 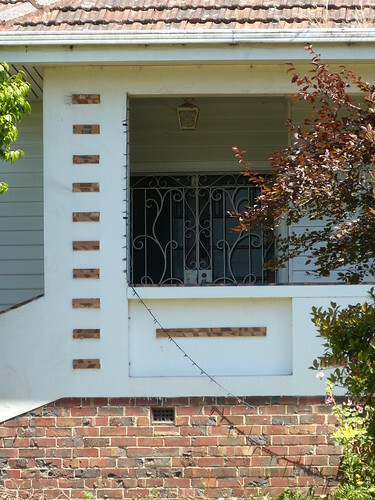 Great gate posts, replicated on the porch. 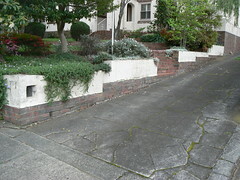 A strip of garden outside the hedge next to the footpath. 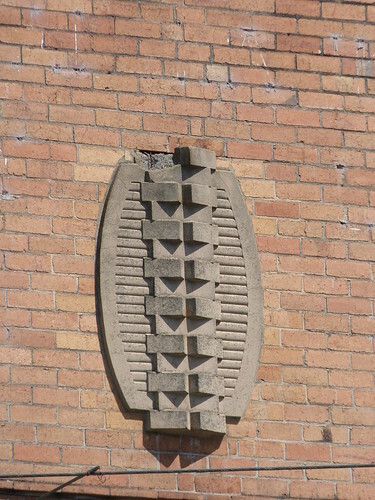 Inlaid coloured brick for decoration. There's a lot going on including that old hubcap on the gate. It must have a practical use. I can see the owners smashing into it with their shopping jeep into that hubcap to protect the gate and open it at the same time. At least I hope that is the genius behind the addition. Best wishes and peace to everyone this Christmas time! PS: Did I mention that this house is in Peace Avenue. PPS: If you want to know more about shopping jeeps have a look at Kitty and the Cartwheelers’ Shopping Jeep Bonanza, a short film by Michaela French from 1996. 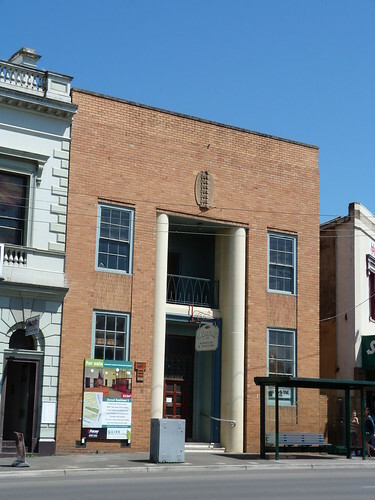 I am enjoying exploring my new home town of Warragul searching out Art Deco buildings. 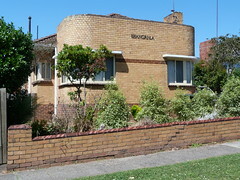 This is a lovely Streamline Moderne house in Albert Street. 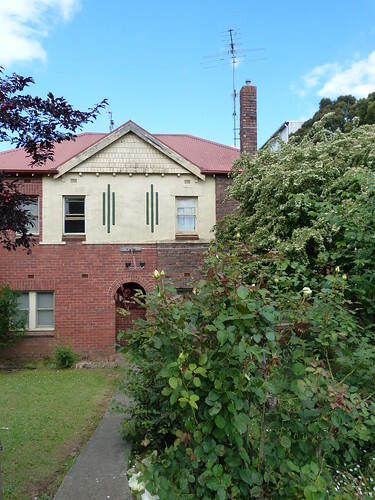 I like the use of contrasting brick colouring to provide a dark foundation for the house and simple detailing across the façade and the windowsills. Then could there be a more Deco name than Shangri-La? 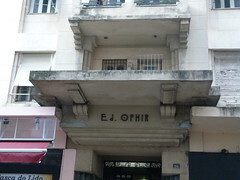 I wrote about this lovely little building in July 2008. 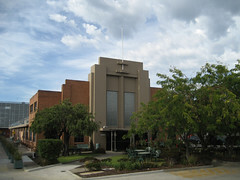 At the time I knew that it was the Social Centre for General Motors Holden at Fishermens's Bend and I'd been lucky to visit there in 1996 and get a guided tour from the Centre manager. 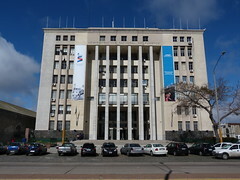 But I didn't know when it had been built. 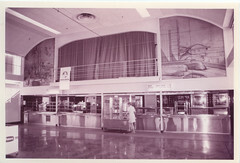 The highlight of my visit was seeing the History of Transport murals by GMH employee, Eileen Robertson, located at either end of the canteen service area. You can see them in this photo and there are closer views on my previous post. 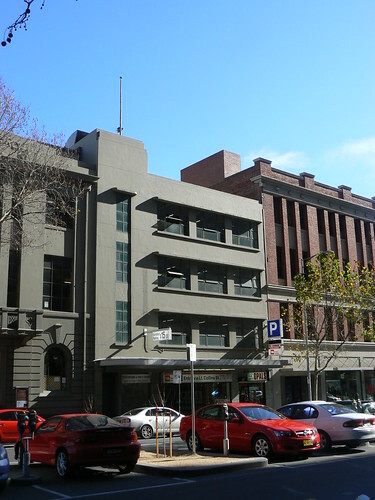 This week, however, I have been doing some work with the City of Port Melbourne Building Permits Register and was delighted to come across a entry dated 31st January 1945 for a canteen to be built for General Motors Holden by Richmond builder E A Watts. So now I have my date. 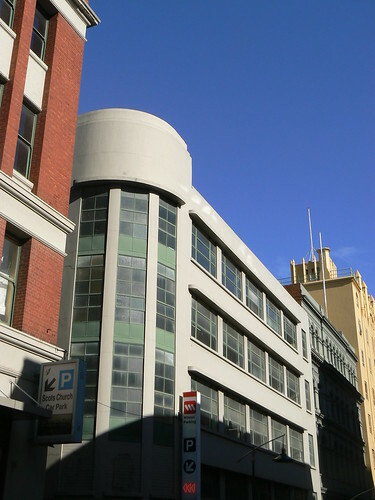 The GMH Social Centre was built in 1945. 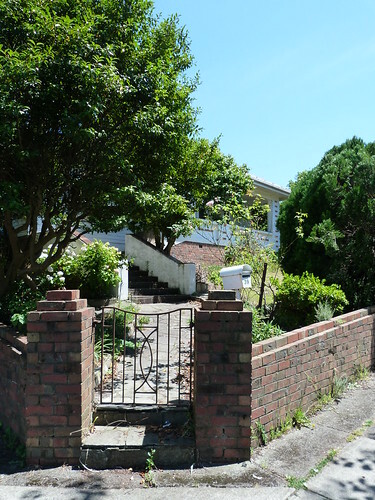 A good example of a terraced garden and low stepped wall on the 1930s Golflinks Estate in Camberwell. 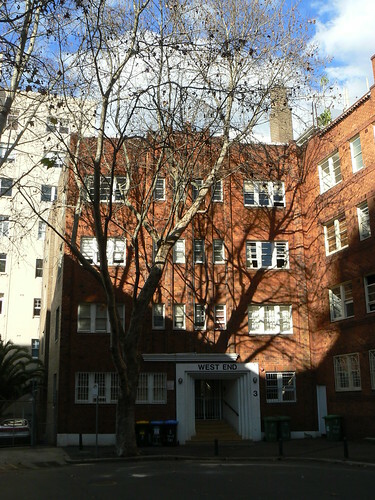 West End, a block of flats at the end of Crick Avenue in Sydney's Potts Point. 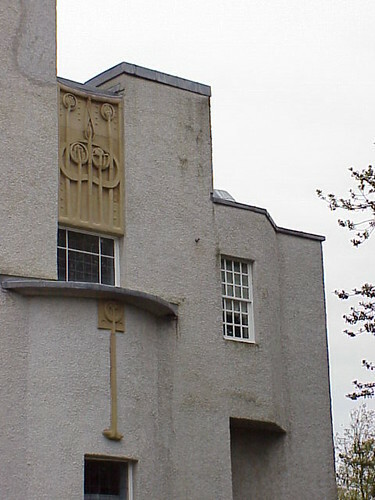 In 1901 Glasgow architect Charles Rennie Mackintosh and his artist wife Margaret MacDonald entered a Germany-based competition to design a 'Grand Residence for an Art Lover'. 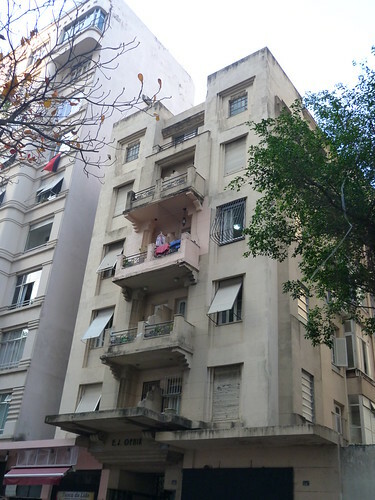 Their entry was disqualified as incomplete but the couple submitted the missing perspectives and their design was awarded a purchase prize meaning that their portfolio of plans together with the second and third prize winners entries was circulated throughout Europe. 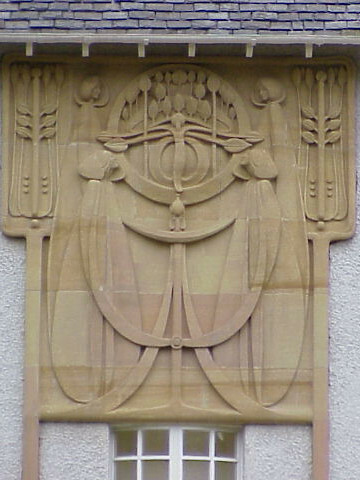 That no first prize was awarded has lead many people since that time to surmise that Mackintosh & MacDonald would have one the competition if they had submitted a complete proposal by the required deadline. 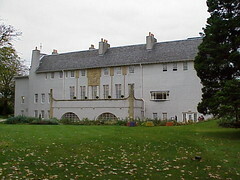 In 1987 Glasgow civil engineer Graham Roxburgh had developed an idea to build a house based on the 1901 competition plans in Bellahouston Park, Glasgow. 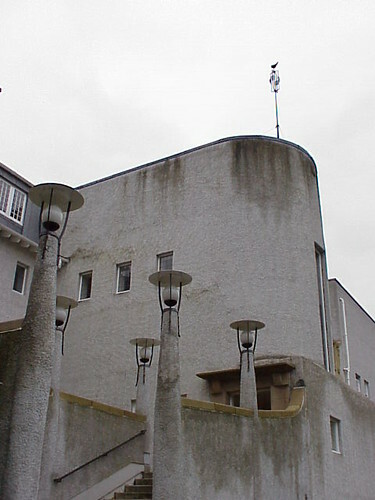 By 1990 the exterior and much of the interior was complete but recession in the Nineties delayed the project until 1994 when it was revived by collaboration between Glasgow City Council and the Glasgow School of Art (Mackintosh's finest building IMHO) creating the House for an Art Lover. 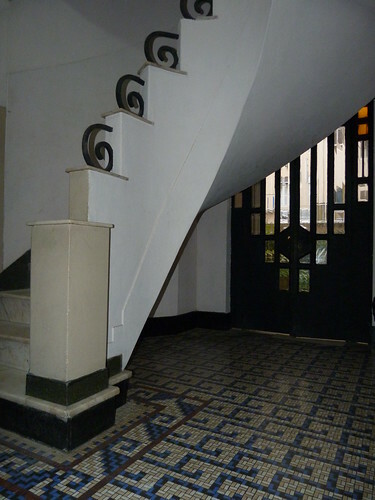 It isn't deco. 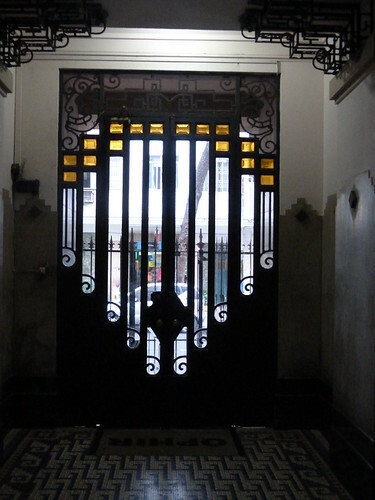 Art Nouveau or plainly just Charles Rennie Mackintosh & Margaret MacDonald but one thing for sure, it is stunning and well worth a visit. 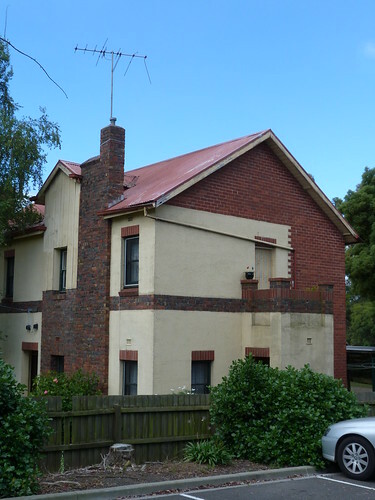 I spotted this interesting row of semi-detached houses in Warragul the other day and had to return for a better look and to take some photos. The end house has an entrance tacked on to the side with a great little open balcony (overlooking the pub car park). The middle houses seem to share an arched entrance and bear simple rule of three decoration on the façade between the upper floor windows. 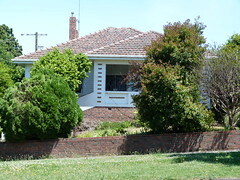 The house on the end may be a single dwelling and is the most decorative with small patterns of stepped bricks exposed through the render of the rest of the wall. 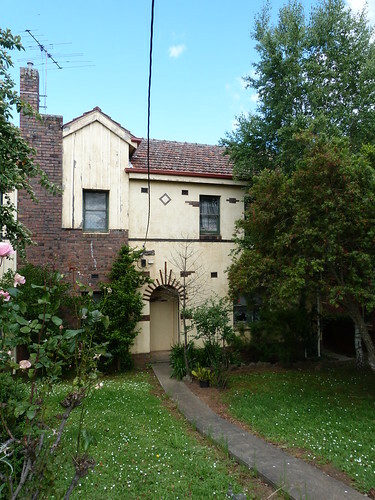 This photo also shows the mix of timber, brick & render used on the façade of the houses very well. 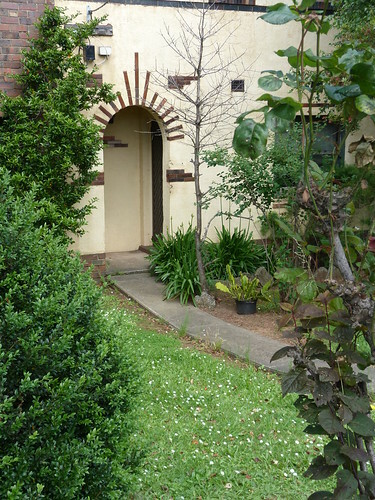 But I particularly like the decoration around the arched entrance of this end house.